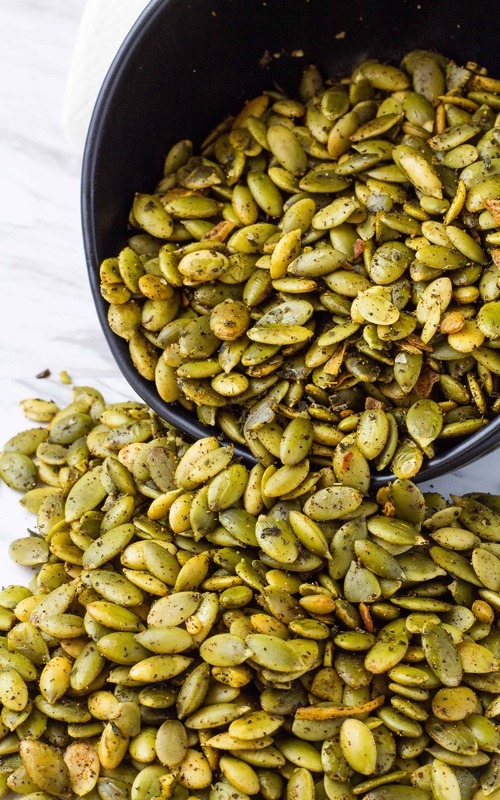 Spicy Southwest Pepitas are a crunchy snack that not only tastes great but are healthy too! 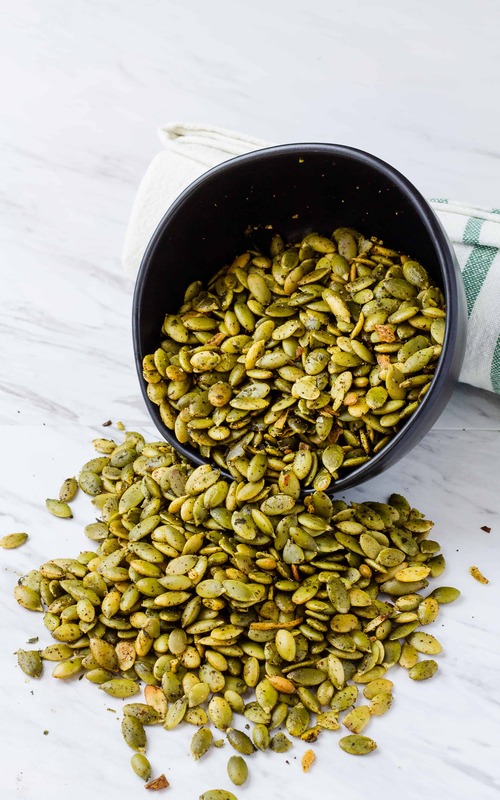 Pepitas are Pumpkin Seeds Too! Only with a funnier name. A funny name that is also very cool to say. I like the way my voice perks up when I say pepitas. It reminds me of jumping beans for some reason… I never even knew that pumpkin seeds had kernels inside of them as I usually just eat them whole. Toasted with lots of butter and salt, of course, but that is a whole other story! 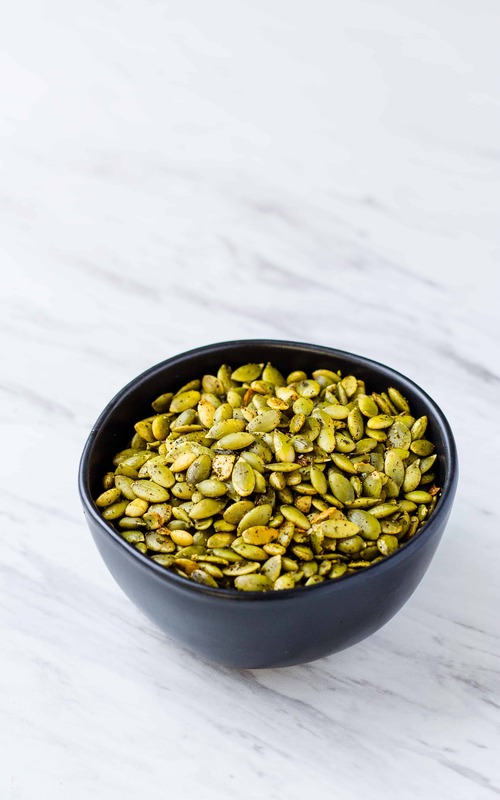 I actually thought that pepitas were a whole other seed/nut until someone told me that pepitas are from INSIDE the pumpkin seeds. That’s what I get for just shoveling them in my mouth and not paying attention to what I’m eating. 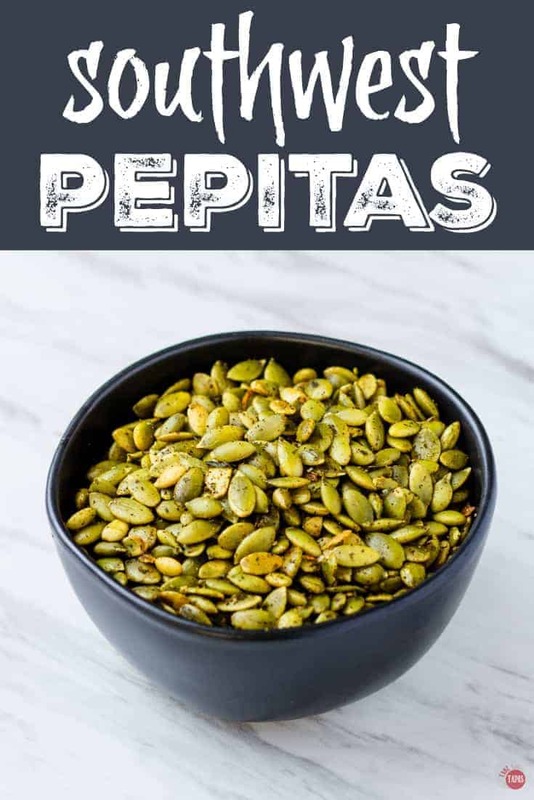 Southwest Pepitas bring spice to your snacks! After eating them raw, toasting them with salt, and using them in my Paleo Snack Bars, I want to add some spice to them and see how they turn out. My favorite spice to eat on just about everything is my All-Purpose Steak Seasoning. After that is my Homemade BBQ Spice Rub. I could really just eat it out of the jar or lick it off my finger. In a nod to Arizona, my new home and the reason why I will eat tacos until the day I die, I think a Southwest Seasoning is needed. It just so happens that I have a Homemade Southwest Seasoning that you can use! If you don’t want to make your own (you totally should because it is less salt and you can make it as spicy as you want) you can buy some at the store on your next trip. No judgment here. Making Southwest Pepitas is easy. Toss the pepitas in a little olive oil, a tablespoon of Southwest Seasoning, and toss in the oven. All the pepitas need is a light toasting and the seasoning mix will stick to them. After a short jaunt in the oven, let the Southwest Pepitas cool off and store them in an airtight container. Mine don’t last very long, a few days tops, but if you are a slower snacker they might last a week. 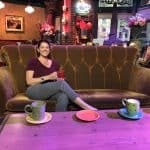 If you are looking for a few more ways to eat pepitas, check out these 8 delicious recipes from Rachel Cooks. 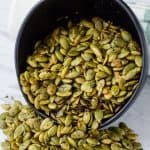 These Southwest Pepitas make a great addition to tacos, salads, dips, trail mixes, granola bars, and even sneaking into the movies to counteract the candy you will be eating. Line a baking sheet with parchment paper, foil, or a silicone baking mat. In a small bowl, combine the pepitas, olive oil, and Southwest Seasoning. Stir to evenly coat the pepitas. Spread evenly on the prepared baking sheet. Bake for 10 minutes or until the pepitas are toasty brown. Remove from the oven when finished. Store in an airtight container for up to a week if they last that long! Mmmm! I know I would EAT THIS ENTIRE RECIPE!! hahahaha! I love pumpkin seeds soooo much !